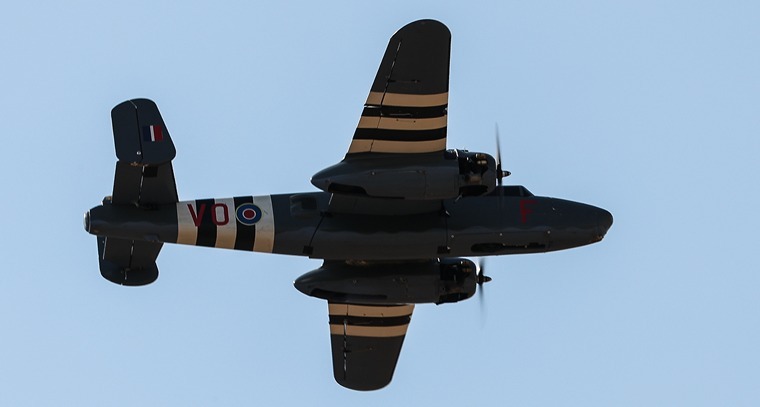 The annual Heinie's Warbird Day Air Show started on time at 10h00 with the mandatory pilot's briefing and safety awareness procedures prior to the day's event. The spectators and static aeroplane display area filled up steadily as the morning progressed. The weather was perfect for the day and could not have been better for the public to fully enjoy the R/C pilots flying their various allocated slotted displays. It was action all the way with an Air Show program that was filled with entertainment the whole day. 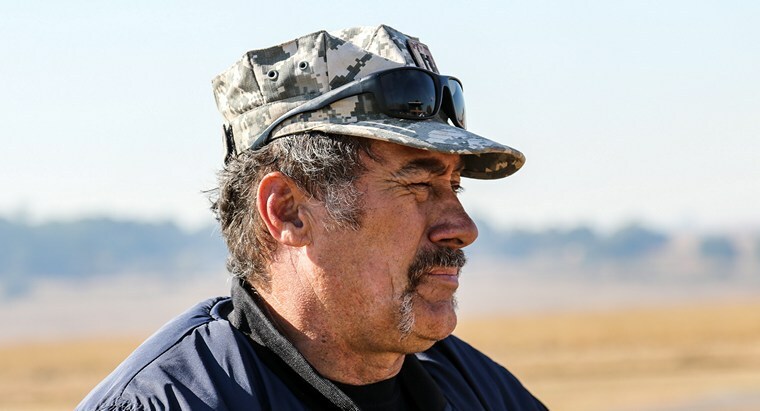 The pilots briefing was held at 09h45 to kick-off the program where the safety rules where explained by the Organiser, Heinie Keyser from Barnstormers Model Flying Club and the commentator for the day was Karl Jensen. It was Heinie's 9th year as event organiser and according to him, the largest by far. The Allied Fighters Mass Display was first up to start the day properly with World War II representation by the North American P-51D Mustang and Supermarine Spitfire respectively. The day's program was there-after filled with various displays ranging from Luftwaffe Fighters, WWI Fighters, Kudu & Fieseler Storch, Gas Turbine Jet, Boeing B-17 Memphis Bell Bomber and a spectacular Pyrotechnics display after lunch to make the air show even more unique; the only one of its kind in Gauteng on this large scale, according to my knowledge as writer. Other displays included an Focker Dr.I Dreidecker that is 17 years old, De Havilland DH82 Tiger Moth, Piper Super Cub flown expertly by Danie Potgieter, Lockheed P-38 Lightning, Boeing B-25 Bomber, Focke-Wulf Fw 190, Hawker Hurricane and Supermarine Spitfire, also flown by Danie Potgieter. An A�rospatiale Alouette II was flown in by Bruce Foulis, followed later by an Alouette III, flown by Hugo Visser from Petit. Colin Sampson was dressed in typical navy colours and also flew the Boeing B-17 Flying Fortress Bomber, better known as Memphis Bell. 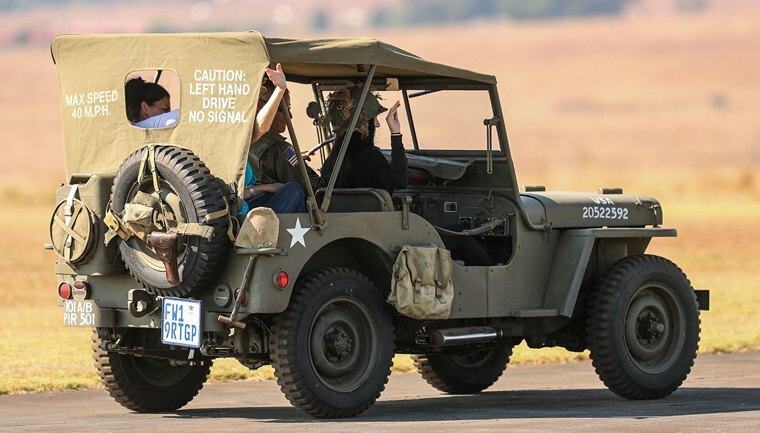 Flair was also added to the event with an authentic Willys Jeep that paraded up- and down the runway for the crowd. A crowd favourite was the Chance-Vought F4U Corsair. It is fitted with an 180cc 5-cylinder Moki radial R/C engine. The wings fold down for flight, lock into place and fold-up after a flight exactly like the full-size Corsair did. The folding wings were designed for easier storage in cargo bays to operate from aircraft carriers. It is fast in flight for a model aeroplane and flies exactly to scale with a distinct engine note. All-up weight is 28kg and the pilot is Aron Janz. 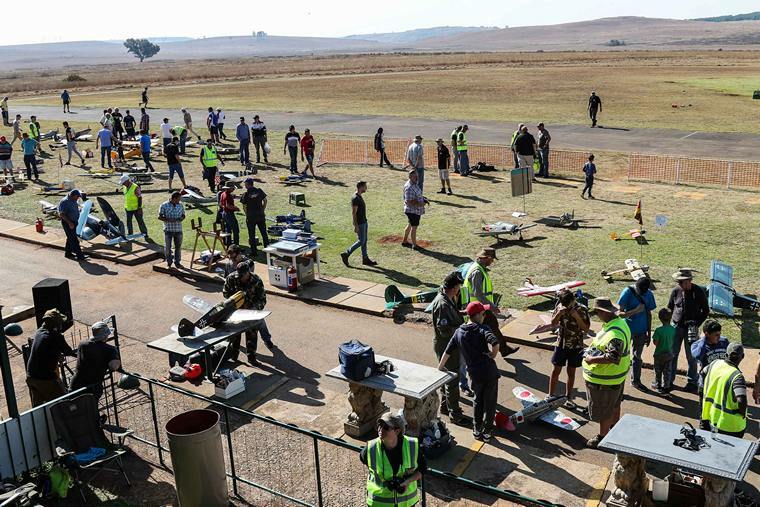 The UltraLightning 21kg KingTech Gas Turbine Jet was also a huge crowd favourite for the day and was flown by Dean Grobbelaar. Maximum speed is 430 km/h that is very fast for a R/C jet and landing speed is also high at 110 km/h. 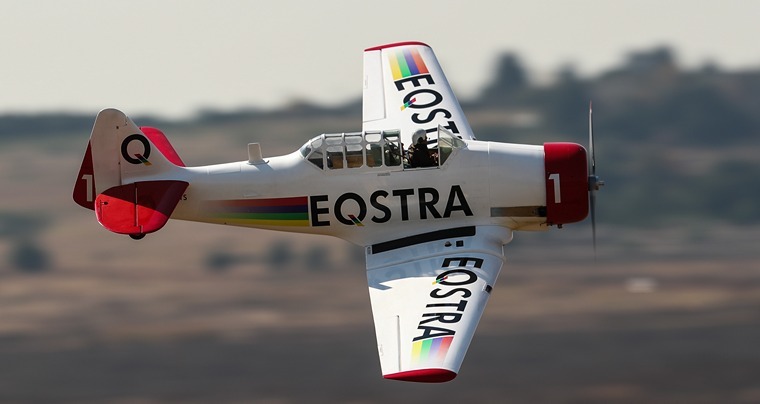 He also flew a North American T-6 Texan / Harvard in the older EQSTRA livery, better known in South Africa as The Flying Lions Display Team at full-size air shows. A Pyrotechnics display of note was presented after lunch to spectacular and live-like sequence by Leon Breytenbach. He is a well-know pyrotechnics expert and had done pyrotechnics for famous big movies like Mad Max, Blood Diamond and Lord of War. With the warbirds flying over the bombed and burning area you could have been forgiven to think it was a real war fought somewhere on a famous battle field in World War II. 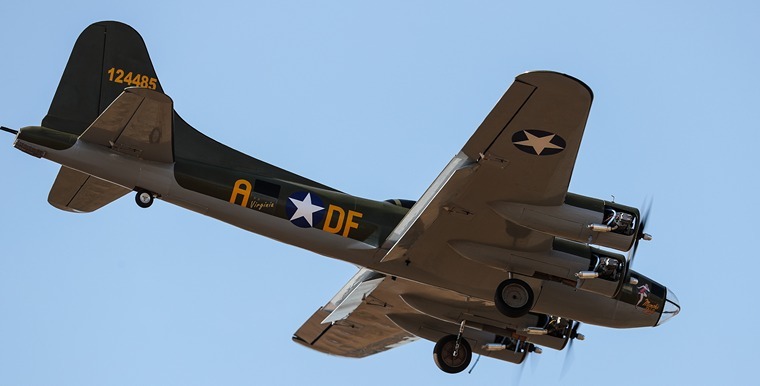 The Heinie's Warbird Day Annual Air Show is a must on the R/C model aircraft calendar to attend and is growing by the year. For more information, contact: www.barnstormersmfc.com.